Ladies Craft Beer Society of Ireland – Events: Beer, Banter, and a Birthday! Events: Beer, Banter, and a Birthday! 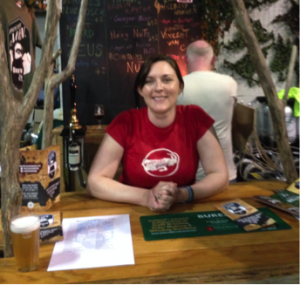 In which the Ladies Craft Beer Society of Ireland launches a new logo and website, turns two, and goes to the Irish Craft Beer Festival. 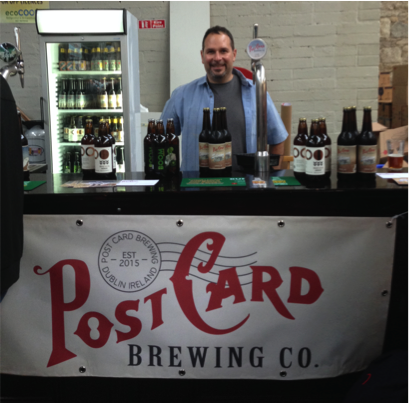 Ho boy here we are, the first official blog post, and I get to write about the Irish Craft Beer Festival- excitement! This last week of August was absolutely mental for us as we have been working hard to get ready for our two-year anniversary. And what a way to spend it. I kicked off my festival weekend with a trip down on Friday night. 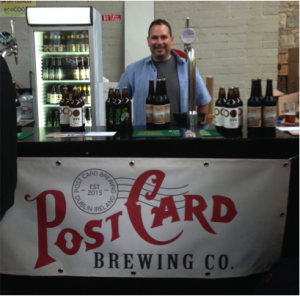 Entering the Industries Hall at the RDS was a full frontal assault to my beer loving senses. The venue was a wide open, bright with exposed stone and wood- it felt like I fell into a massive airy beer garden. The copious amount of beer stalls stood before me and it was difficult deciding which one to hit up first. 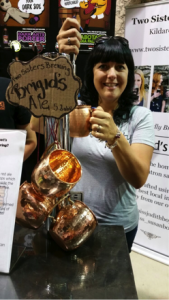 I consulted my map and it was amazing to see how much the event has grown in the past two years since the Ladies Craft Beer Society was founded- new breweries listed among old favorites with a plethora of offerings. Ireland’s unique beer culture was certainly on display and there was a palpable feeling of giddiness in the atmosphere. The sounds of people sampling and comparing new brews were all around me. Enough said-let the tasting commence. I, along with everyone with a pulse based on how quick these ran out at the festival, am on a bit of a sour kick. As a person who ate raw lemons as a kid, Lambics, Berliner Weisse, and Geuzes are my jam. And this festival did not disappoint. 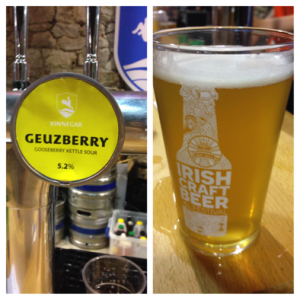 There were a quite a few awesome options but two of my festival highlights were the Kinnegar Geuzberry– a Gooseberry kettle sour and the Rye River Brewing Lemondrop Berliner Weisse. Both of which ran out so fast you could barely blink. Because delicious. 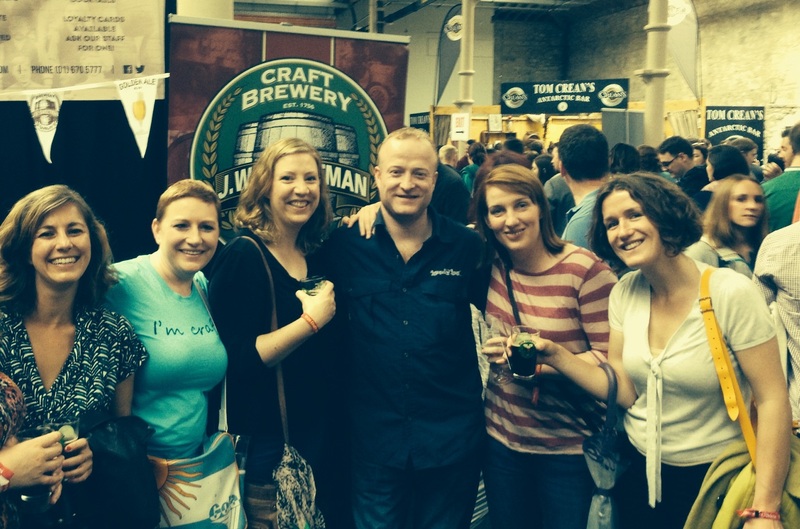 On Saturday afternoon I returned for the official Ladies Craft Beer Society event. We kicked off at 3pm so we could meander through the stalls, stopping to talk and compare notes before it became absolutely jammers, AND, more importantly-try to get in some beer chats with a few of the breweries before it was too crowded. Once again the sounds of the festival assailed my senses upon arrival and we were ready to GO! We made it to…drum roll please…ten different stalls before the crowds became overwhelming. 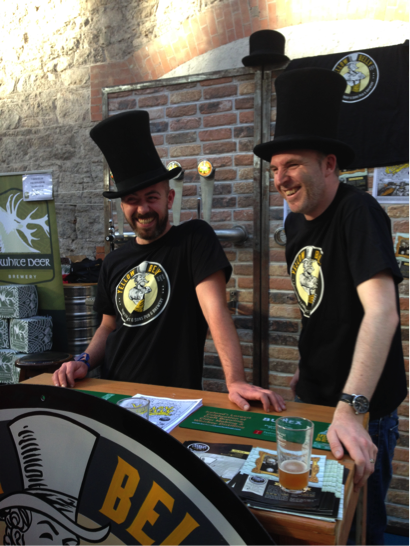 We began our tour talks with the brewer with O’Hara’s and from there were able to hit up quite a few: Black Donkey, Trouble Brewing, Blacks of Kinsale, Rascal’s Brewing Co, Mountainman, Wicklow Wolf, Metalman, J.W. Sweetman’s and Rye River. Sue from Mountain Man Brewing Co.
Later on in the evening, once the crowds died down again, we were able to have a few quick chats with Hope Brewing Co., Postcard Brewing, Two Sisters Brewing, RadikAle, Jack Cody’s, Tom Crean’s, Brown Paper Bag Project, and Dan Kelly’s to name but a few; We chatted away with quite a few in this whirlwind of a weekend- a massive thank you to all the breweries that took the time to speak with us! We are incredibly grateful for the amazing opportunity to be able to have our questions answered by the brewers themselves. Awesome. Seriously. Our group of Ladies included some senior members who have been with us since its inception and a few new faces- we even picked up some new members along our way! It was great to see women of all levels of interest in craft beer engaging and comparing thoughts on flavor, aroma, and style. Some of the Ladies like more malt-forward brews while some of us are total hop heads. Big hits for the members were the Rascal’s Brewing Chardonnay Saison– a gorgeous barrel aged Saison; RadikAle’s Curious Brew- a beer with gin botanicals. Never tasted anything like it-try it immediately; Mountainman’s Broken Hipster– a FAB.U.LOUS. ginger beer; O’Hara’s Lublin to Dublin- a delicious milk stout; and Stone Belly a deadly collaboration brew from Yellowbelly and Stone Barrel Brewing. I would be remiss if I didn’t point out that these were just a mere few of the many fabulous beers to be tried at this year’s festival. We were absolutely spoiled for choice- and don’t get me started on the cider! All and all, we were absolutely wrecked at the end of the festival after trying and talking about so many different beers. The consensus of our Ladies was this year’s beer festival was a smashing success, absolutely outdoing itself. We can’t wait to see what the next one has in store. Bring it.